There is no Holy Week tradition here in the US, but my own family does observe a few Catholic practices here at home , such as meatless Fridays, and fasting and abstinence. ( small breakfast and dinner , no lunch ). At Dad’s workplace, employees can choose one paid personal special non- working holiday …. Dad chose Good Friday. But in the Philippines , there is a rich Holy Week tradition ( where about 85% are Roman Catholics ) that Filipinos practice with great devotion. 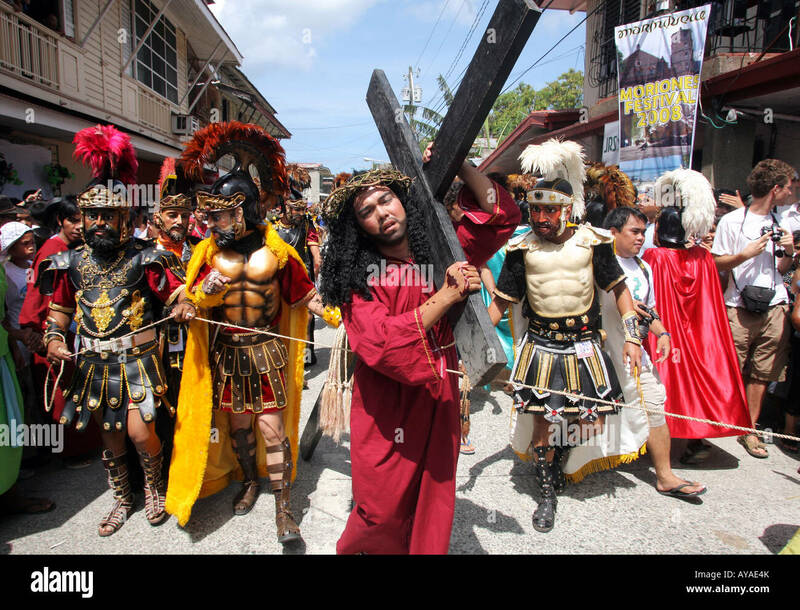 Holy Week ( called Semana Santa in the Philippines ) starts on Palm Sunday, and continuous on until Black Saturday. It is called Black Saturday because on that day, the Lord is………. dead. Easter Sunday is when He rises from the dead…… no Easter Bunny celebration in the Philippines though, and no matter how hard commerce tries to inject that into Philippine culture , no can do. . They simply cannot relate to bunnies and eggs. Several decades ago, the entire Holy Week was officially non- working holiday ( no office work , no school ) but was reduced to just Maundy Thursday and Good Friday. To this day, Philippine Airlines does not fly on Good Friday. Never book a flight for Good Friday on PAL. Metro – Manila has a reputation of having the most horrendous traffic in the whole world, # 1, which is a bad thing. All radio stations are off- air, Tv networks that are on air show only religious movies,( my parents say they’ve watched The Robe , Jesus Christ Superstar, and The Greatest Story Ever Told a million times ) some are off – air, too ( but then, there’s Netfix, which is not bound to observe traditions ^_^ ) and on Good Friday, Masses ( Siete Palabras , or The Seven Last Words ) are shown on some TV networks. And religious processions all over the country. In some parts of the country, they hold this kind of procession. 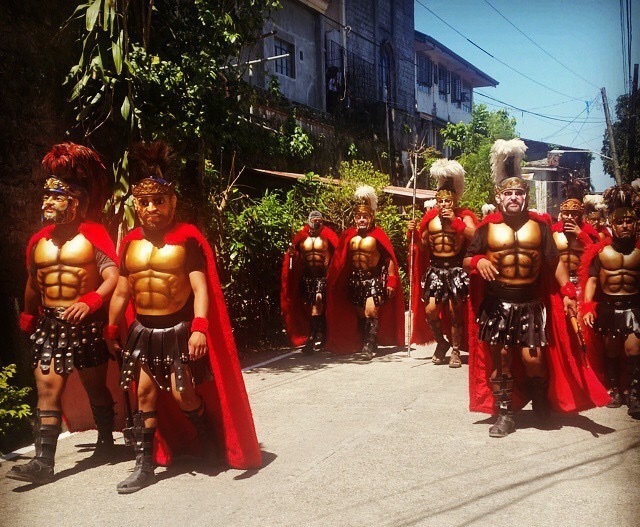 ( reenactment of Christ’s Via Crusis , or Way of the Cross) <——— Moriones Festival on the island of Marinduque. 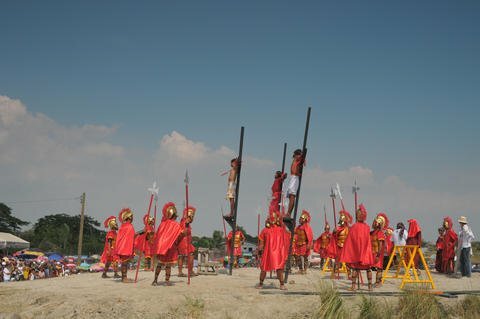 In some parts of the country, processions include self – flagellations ( as sacrifice, a vow, and penance ). The images are a bit graphic, be forewarned ). Note: This is not condoned by the Catholic Church. 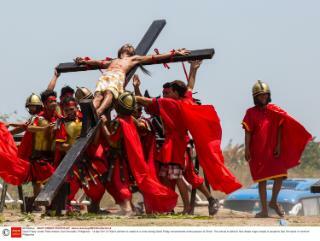 Real Crucifixion where a man is physically nailed to the Cross. Just an FYI from the country where I came from, the Philippines. Thanks for reading and PEACE . Check out my manga/anime/ video games blogsite @ https://2megaworthitwordpresscomblog.wordpress.com/ I have a new entry, a review of Netflix anime original , B: The Beginning. It’s a an excellent Japanese anime . Check it out on Netflix.